If you own an iPhone that just keeps turning off without your wish, we know how troublesome it is to handle such situation. Well the reason can be any from low battery to some complicated hardware or software issue! You can simply get your "iPhone keeps turning off" problem fixed with the help of below article. 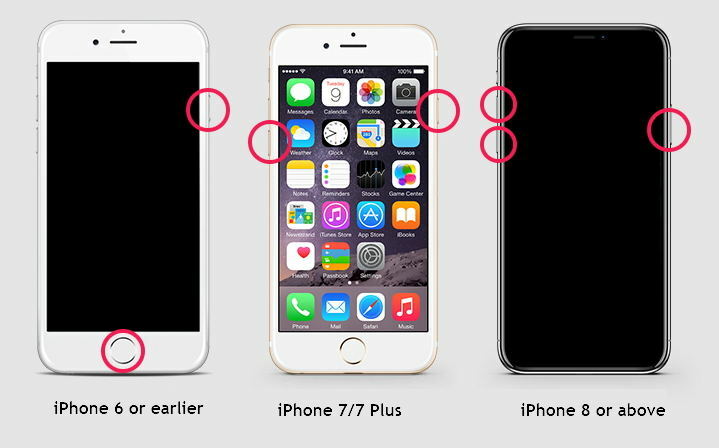 The solutions provided in below article will surely help you out to solve Apple iPhone keeps turning off issue as far as the problem isn't with the iPhone's battery or its other internals parts. Let's have a look at the solutions below one by one. 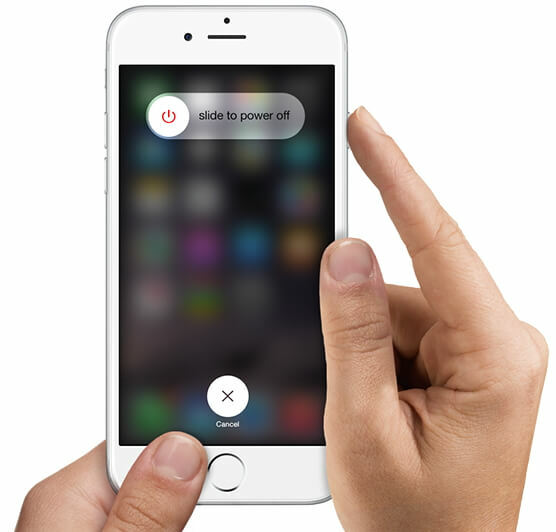 Is your iPhone turning on and off continuously? Also, it is not ready to get charged and is crashing every now and then! Well, you now might have to go for a hard reset. If it is actually turning off by its own or the iPhone's battery quickly draining and making your device shut down very often, a hard reset can be the appropriate solution. Follow below step to hard reset your iPhone. Step 1: For iPhone 7 or later, long press the Volume Down button as well as the Sleep/Wake button all at once. For iPhone 6s or older, long press the Home button as well as the Sleep/Wake button all at once. Step 2: Continue holding the buttons till the time an Apple logo is seen on your device's screen. Let go the buttons once the launch screen is seen. Does your iPhone randomly shuts off still? There are chances that it is quickly discharging. Solution—plug your iPhone immediately. Now that you have plugged in your iPhone and charging it, check the battery level of your device. If it's zero to little charge, your device had a drained battery. If it's fully or partially charged, you are dealing here with some other issue. Let the case be any, just plug your iPhone and charge it. Charge for some time (an hour or so). Also try using some other charging cable. If low battery was the issue, it will get resolved with the full battery. If not, continue reading. If with the above two solutions you are still not able to solve the brand new iPhone keeps turning off issue, you need to go for some serious steps and solutions. Restoring the device using iTunes might help solve the problem. We would recommend iTunes than iCloud as it truly re-installs, offloads, and reloads all of the data instead of doing everything on your device and in-place. Follow below steps to restore your iPhone using iTunes. Step 1: First, connect the iPhone to iTunes on the Mac/PC with the help of USB cable. Now at the top left tap the Device button. Step 2: Click the option Back Up Now and wait till the backup process is done. Step 3: Lastly, tap the Restore iPhone button and wait till the restoring process is done. Though above solutions won't harm your data while solving your problem, but sometimes things go wrong and you end up with no data in your hands! And hence you need a pro to deal with the problem and also the one who can guarantee zero data loss while solving the issue. Any iOS System Repair is the perfect solution for you to deal with iPhone keeps shutting off issue. The tool is one of its kinds to get resolved any of the problems with zero data loss and with efficiency. Follow below steps to get your problem solved. Step 1: Run Any iOS System Repair on the computer and then connect the iPhone having issue to it. Of the options present on the main interface, select Repair Operating System. Step 2: The newest and the recent firmware package is mandatory for next process. Hence, download it using the Download option. Step 3: Now all you need to do is click "Start Repair". This will not only solve your issue but will also recover your iPhone from any issue. If none of the above ways get your problem solved, you need to contact Apple for further help. Many a times, batteries fail, hardware give problems, software give up and other such issues tend to bother you. All these can be fixed by an Apple professional only. In the above article, we have seen the best ways to solve dropped iPhone keeps turning off issue with easy and efficiency. We hope you have found the best solution for your issue. However, we suggest you to go for Any iOS System Repair (ReiBoot) due to its wonderful features to solve any iOS-related problem with easy and instantly. Do let us know how your experience in solving the issue was and which solution helped you out in below comments.